According to The Sun, Aston Villa are considering recalling Andre Green from his loan spell with Portsmouth. The Midlands outfit are currently struggling for form and could benefit from having more attacking options to turn things around in the second-half of the season. It could be a smart move as Green has recently returned to fitness but is still struggling for playing time with Pompey. The 20-year-old has made just 10 appearances in all competitions for the League One side and has been an unused substitute in four of their last eight league outings. With Portsmouth currently top of the division and five points clear of second place, Green has a tough task to get himself into the side. Only Luton Town (49) and Doncaster Rovers (47) have scored more goals than Kenny Jackett’s men so they aren’t in need of another attacking reinforcement. 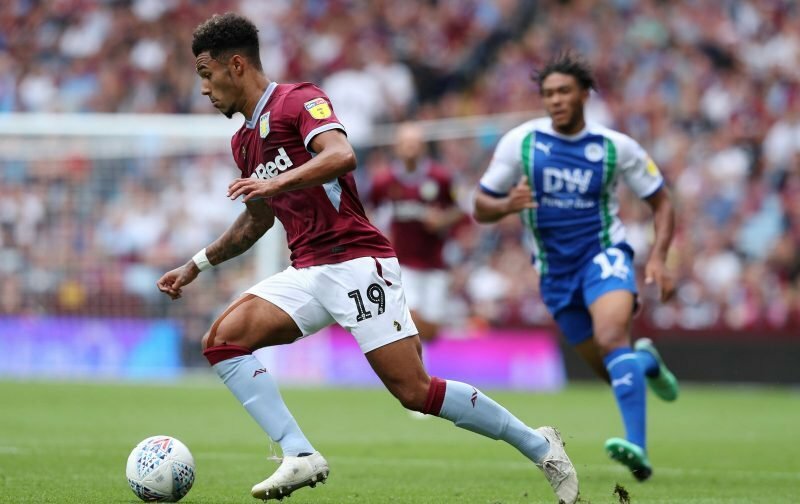 Villa have been heavily reliant on Tammy Abraham this season, with the on-loan striker contributing 35% of their goals in the Championship, so Green could inject some much-needed creativity. He’s struggled for form and fitness in the last 18 months, but he might be a good wildcard option for Smith now he’s available for recall.